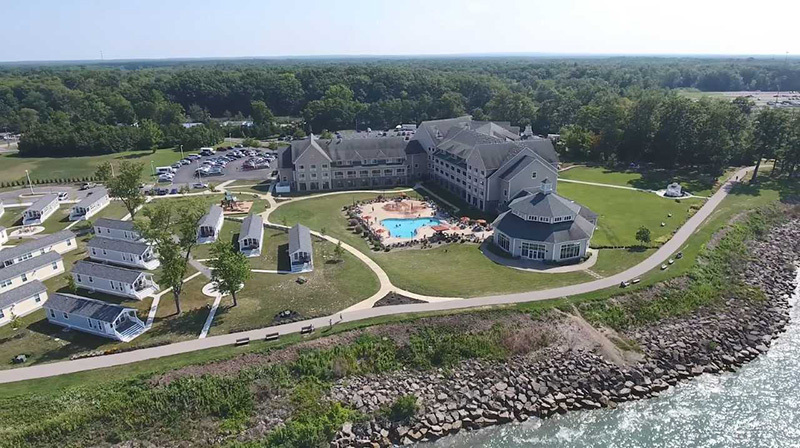 In the midst of Ohio’s wine country and overlooking Lake Erie, The Lodge at Geneva-on-the-Lake offers personalized affordable luxury. The Lodge features a variety of packages and seasonal rates for all travel needs as well as an array of on site amenities including indoor & outdoor pools and a full service restaurant. Fun- filled family vacations, relaxing romantic escapes and inspiring business meetings come to life near local wineries, covered bridges and Geneva State Park’s beach, marina and hiking trails.